How Do I Know I'm Getting the Most for my Money When I Buy Hearing Aids? Find out the answers from an expert that has been helping people hear better for 40 years. How Do I Know I'm Getting the Best Deal When I Buy Hearing Aids? 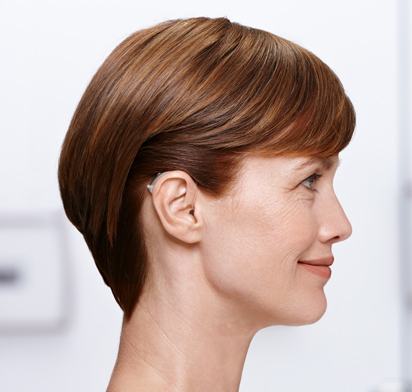 What Should I Look For When Shopping for Hearing Aids? 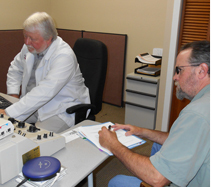 Dr. Hess provides many hearing services & has been helping people hear better for 40 years. 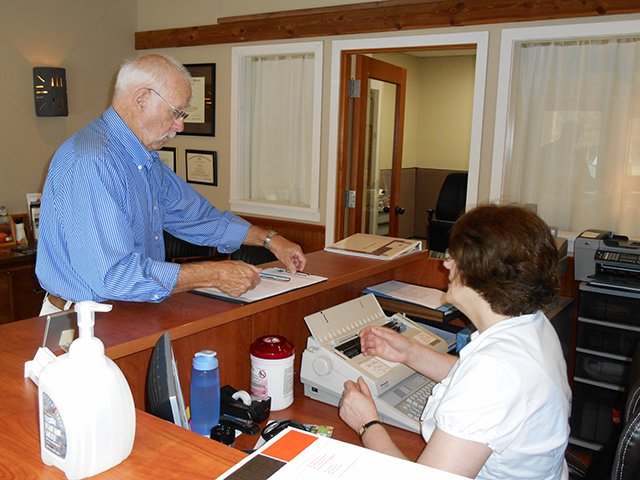 Come into our conveniently located office today and meet our friendly and helpful staff. Simply put, we are about helping people hear better and we’ve been at it for 30 years. Our staff, headed by Dr. Gregory Hess, is dedicated to providing the highest quality hearing healthcare services in a friendly and supportive atmosphere. Dr. Hess, himself a hearing aid wearer, takes a special interest in making sure all his patients receive the specialized care they need and deserve in order to receive the maximum benefits from their new and existing hearing aids. He employs a “Holistic” approach. This includes accurate hearing evaluation results along with otoscopic examination of the outer ears and ear canals. Along with this, a detailed history is obtained to include any medical problems the person may have that could effect either the ear or hearing. Finally, the person’s feelings and notions concerning hearing aid usage is explored to get a sense of how they feel about the whole process and what they would be most comfortable using/wearing. All of this information is then discussed with the prospective hearing aid candidate. If there is a conflict between what would be a “best fit” audiologically and what they would “like” to wear, usually for perceived cosmetic reasons, these points are discussed with them so that they are aware of the limitations. Once the hearing aid candidate has been successfully fitted, he/she will be seen on a regular basis for follow-up counseling and verification/validation of the hearing aid fitting. 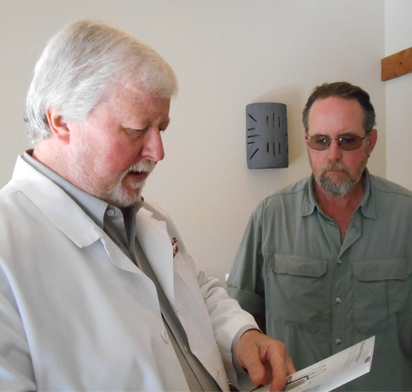 After this initial “getting used to amplification” process our patients are seen at regular intervals to take care of any needed adjustments, cleanings and repairs needed to maintain the hearing aids properly and to continue counseling the individual, as needed. 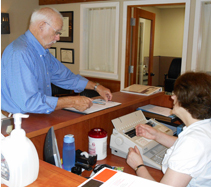 Our front office functions are designed to be as patient friendly as possible. They are designed and carried out by Victoria Stango, our Office Manager/Patient Care Coordinator. She has an excellent knowledge of insurance billing and because of her diligence has actually saved people money when she discovered they had benefits that they didn’t know they had. It’s little things like that along with our overall desire to have an office setting where people “feel at home” and have the assurance that their needs are our primary focus that keep people coming back. 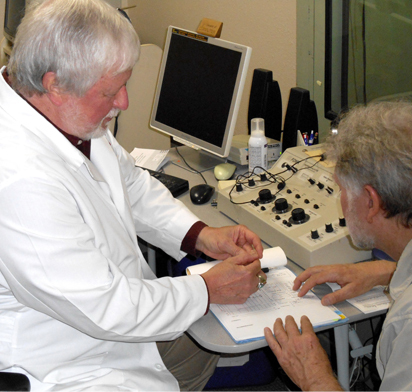 Dr. Hess has practiced as an Audiologist for a total of 37 years in a variety of settings. This has given him a broad base of practical knowledge to draw from, along with the academics, when serving his current patient base. Dr. Hess is married, and has been to the same person, for 38 years. He and his wife Sandee have two grown children, Gretchen and Joseph and a grand-dog affectionately known as “Fizz”. Dr. Hess is an avid “chef” and enjoys cooking old traditional ethnic recipies and is always up for trying something new. He is also an avid motorcyclist. His wife Sandee has become quite interested and talented at lapidary and beading and turns out some unique and interesting jewelry.